Purchasing a home can be a scary and overwhelming process, particularly for first time buyers. There are so many different types of loans, each with their own pros and cons. While many factors play a part as to which loan best suites you, the starting point is figuring out what you qualify for. 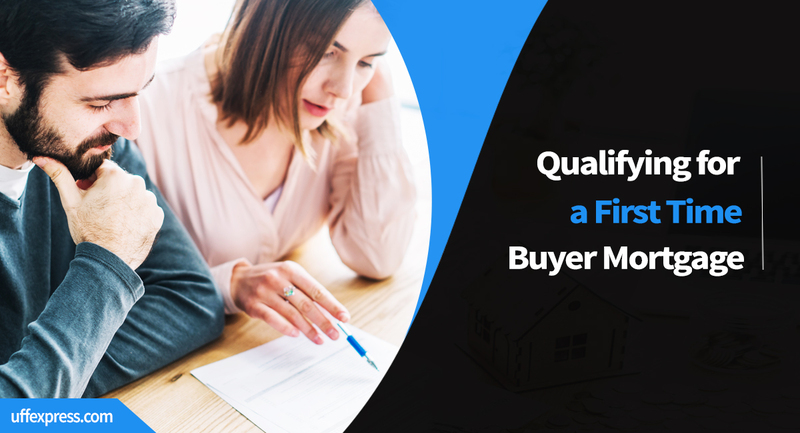 When buying a new home there are a few hurdles an individual must overcome in order to get pre-qualified and to get your loan approved. Below we review what all it takes to get into your first home. Credit Score– to qualify for a mortgage credit score is of the utmost importance. All first time buyer programs, and all loan programs in general (with the exception of a VA loan), have a minimum required credit score. The score is used to determine if a borrower qualifies and what rate they qualify for. In addition to credit score, credit payment history plays a big factor in the qualification process. When looking to get approved for a mortgage it is critical to have a few well-established lines of credit in good standing, and few late payments, collections or other derogatory credit issues marks as possible. Debt-to-Income Ratio (DTI) – another primary qualification metric is a borrower’s debt-to-income ratio. This is calculated by taking a borrower’s total monthly expenses including their new projected mortgage payment and dividing by their qualifying income before taxes. Down Payment – the final significant item needed to qualify for a loan is the minimum required down payment and any closing costs associated with buying a new home. There are two loan programs geared toward first time buyers, and specifically make it easier for first time buyers to qualify. FHA loans and Conventional 3% down loans both offer an affordable option for first-time home buyers. They also have more flexible guidelines compared to other programs, making them easier to qualify for. Below is a break down of the general qualifications needed for each first-time buyer option, as well a detailed summary of the guidelines for each option. The first and easiest loan for a first time buyer to qualify for is the FHA or Federal Housing Administration loan. While the program wasn’t specifically intended for first-time buyers, it’s become the top choice simply because it’s easier to qualify for. FHA loans were created after the Great Depression to stimulate growth in the housing market and make home ownership more attainable for the general public. FHA loans offer some of the most lenient overall requirements in terms of DTI, overall credit score and minimum required down payment. These lenient requirements make FHA loans extremely popular amongst first-time home buyers. Credit Score– the minimum required credit score to qualify for an FHA loan is 520. With that said, most lenders have their own internal credit requirements, and most lenders are unable to lend below 580. Here at United Fidelity Funding Mortgage, we follow the FHA’s qualification rule and therefore can lend below the 580 mark so long as we are able to demonstrate that the borrower has the ability to repay by showing other compensation factors. Oftentimes borrowers with under 580 credit will need a 10% or even a 20% down payment to qualify. Debt-to-Income Ratio - On an FHA loan this ratio cannot exceed 57% which is significantly more lenient than the conventional DTI limit of 50%. On an FHA loan, a lender must count a minimum of 1% of all student loan balances regardless of what the minimum monthly payment is reported to be. Down Payment – the minimum required down payment to qualify for an FHA loan is 3.5%. This is significantly lower than the standard required down payment of 5% on most conventional loans. Count Loan Limits – FHA loans have lower overall loan limits, which vary based on county. In most areas the loan limit is $314,827. This means the base loan amount cannot exceed $314,827 in order to qualify. If you are looking at a more expensive property you may still be eligible for FHA financing, but you would have to put more money down in order to adhere to the loan limit. Please note: loan limits may be higher in some high-cost counties and will be higher if purchasing a 2-4 unit property. In order to make home ownership more attainable, Fannie Mae and Freddy Mac recently came out with a few options that allow for a lesser down payment. This new option consists of 3% down to qualify as opposed to the traditional 5% down that used to be the norm. However, in order to qualify for one of these up options an individual must meet certain criteria. The first conventional 3% down option is strictly for first time home buyers. This option is available to any first-time home buyer who qualifies for the Conventional guidelines mentioned above in the chart. It’s worth noting, the only benefit with this option is that it allows for a lower down payment than the traditional 5% down Conventional loan available to non-first-time buyers. Debt-to-Income Ratio - conventional loans are harder to qualify for because they have a more stringent debt to income ratio compared to an FHA loan. The maximum debt income ratio on a conventional loan is 50%. One benefit though is that lenders can use the minimum payment on student loans to qualify the borrower, even if the loan is on an income-based repayment plan. Down Payment- the minimum required down payment is 3% down which is slightly lower than the 3.5% need to qualify for FHA loans. The second conventional 3% down option is a HomeReady loan, secured by Fannie Mae, or the Home Possible loan, secured by Freddy Mac. Home Ready and Home Possible loans offer the same reduced down payment with a few additional benefits, like reduced mortgage insurance and a lower interest rate. In addition to having meet all conventional loan qualifications mentioned above, an individual must also adhere to a few additional guidelines. Income Limits – HomeReady and Home Possible loans were designed to assist individuals with low to moderate income levels in becoming home owners. As such, they have specific income limits that vary depending on location. These income limits apply to all individuals on the loan cumulatively, they do not apply to other household members whose names are not on the loan. Since these income limits can vary significantly by location, it’s important to check the specific property address to determine what the income limits are in that area. The income qualification limits also vary between the two programs. Below are the links to check the income limits for each program. Home Buyer Education Course – to qualify for either, borrowers must take a home buyer education course. Generally the course can be taken online, costs around $75 and takes a few hours to complete. FHA loans are significantly easier to qualify for as they have some of the most lenient requirements in the industry. This is true not only for first time buyers, but also the next time you look to purchase or refinance a home. However, depending on an individual’s complete financial profile a Conventional 3% down option may make more sense. In order to know what loan product ultimately works best for you it is important to talk to a licensed loan advisor who can break down your options for you.